The blog heading or the blog title is one of the most significant aspects of a blog. 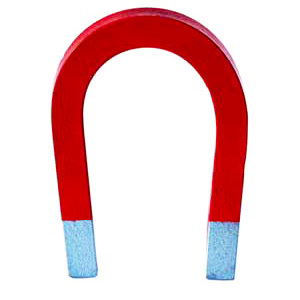 It has the power to magnetize readers and increase your readership. This in turn can lead to the increment in the number of your followers and your blog reaching out to a large number of people. As such, an effective blog title can do wonders for your blog writing. But what is the secret of writing such blog titles that can compel people to read your blog? Read on to know the 5 secrets to write magnetic blog headings. The first and the foremost secret of creating any effective blog title is to keep it short. Longer titles tend to be boring. A short and smart title will always be more compelling than a long winding one. Readers have the common habit of scanning through blog titles before they decide to click on certain ones while leaving out the most others. Generally readers click on those titles that tempt them to know what is written inside the post. A smart title is a sure-shot way to grab their attention and lure them to go through your blog writing. To make your blog title stand out among the countless other titles you need to make it irresistible for the readers. Place yourself in your readers’ shoes and think what will prompt you to click on a title. Most effective blog titles deal with numbers. If your blog writing has titles like 9 Ways to Write Content that sells, Top 4 Website Content Writing Tips, etc. then you are good at playing the number game well in the titles. Then there is the category of teaser titles like Search Engine Algorithm – The Secret Sauce, Web Content Writing: A No Rules Game, etc. that draws the reader to check out the whole content of your blog writing. A good example of tempting titles are the good old ‘how to’ ones that promise an answer to the readers. Examples such as How to get past the writer’s block, How to write better posts on your Facebook page, make readers sit up and take note of the blog title. Readers are also drawn by titles that warn them against mistakes. For instance, titles like 10 Mistakes to Avoid in Social Media Marketing, etc. are a good way to grab attention almost instantly. Focus on what can be the most interesting or engaging title for your target audience. Creating SEO friendly blog titles is another trick in the book that brings in the results. The keyword is an essential tool to draw the traffic to your blog. Place your keyword in your blog title to make the title search-engine friendly. It is a great tip to build up your organic traffic. You can use the Google keyword tool to find out targeted keywords having low competition. Position the keywords in a way that they do not take away the flavor from the title of your blog writing. Always remember that you are writing for the readers and not the search engines. Your blog title is the first glimpse that the readers have about your content. Use it to offer a clear idea about what the exact topic of your blog writing. Avoid creating blog titles that do not express the topic of the post in a clear manner. Most importantly, do not generate titles that have no major connection to the body of the blog and are created just to draw traffic. Such actions will do more harm than good for your readership. A clear, concise and relevant title is the best way to attract readers and push your blog towards popularity. Connect to your readers through an active blog title. Avoid using passive language in the title. Passive titles are less effective as compared to the active ones. If possible, give your blog title a personal touch by retaining the word ‘You’ or ‘Your’ in the title. Good grammar and a correct language in the active voice are often helpful in obtaining a response from the readers. Follow these ideas and tricks to create the most attractive titles for your blogs and connect to your readers.